Available in 6 beautiful colours, Boho Green Revolution Organic Lip Liner Pencil makes your lipstick and lipgloss last longer. Its 100% natural formula rich in organic beeswax and shea butter conditions your lips while colouring them. 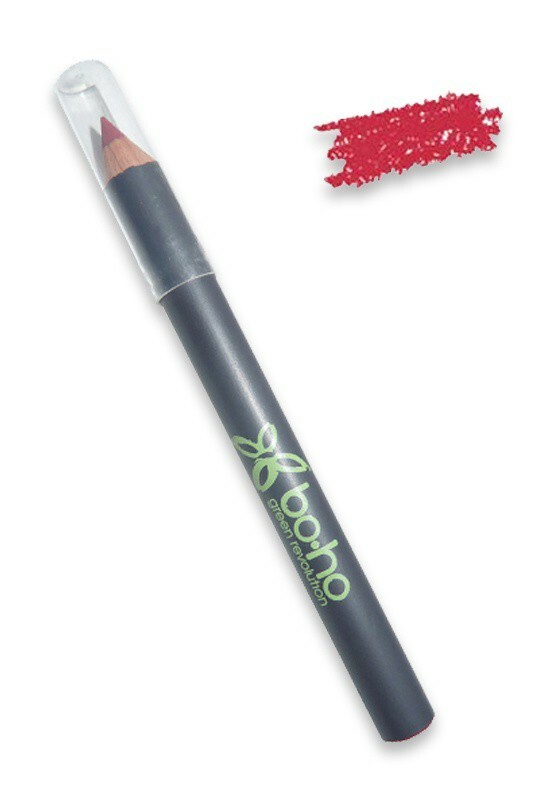 BOHO Natural Lip Liner provides great hold for your lipstick and prevents feathering to keep it looking vibrant. You will also like its mini-size that is perfect for your makeup bag or on the go ! KEEP YOUR LIPSTICK PERFECT ALL DAY LONG WITH BOHO NATURAL LIP LINER ! To make your lipstick or lipgloss last longer, start by taking a Boho Green Revolution Organic Lip Liner Pencil in the same colour to line your lip contour and fill on the inside. Now you can apply your lipstick and gloss over it. BOHO GREEN REVOLUTION 100% NATURAL MAKEUP PRODUCTS !